In un forum italiano, si parlano tutte le lingue, meno che l'italiano. Why have you done that? It was the only good thing about the whole discussion!!! Sai cos'è..? È come se io per l'eventuale v12 faccio eliminare tutte le divise che ho fatto per PesTeam. mi è partito il download della patch 1.06 di pes poco fa. qualcuno sa che danni fa??? E' un fix di pochi Mb. °When [type ball] was [Advanced], sometimes the distance was short pass. °The side choices were available in games DIVISIONS (SIM.). °The team that had a player on loan should pay his annual salary. ..ma e' di settimana scorsa o sbaglio..?! no no mi è partito oggi pomeriggio, mentre l'ultimo controllo lo avevo fatto mercoledi sera. Si 74 o 77 mb se non sbaglio. Ecco.. mo' si mette a parlare il mandarino.. The author of the hex editing just wanted to be in the credits. On top, I could give you a hand to translate your works into Italian! This site is the best source of information on the web for PES editing and after you have removed your tutorial, many have asked why. Please, the only issue is the language as many do not speak other languages than their own. 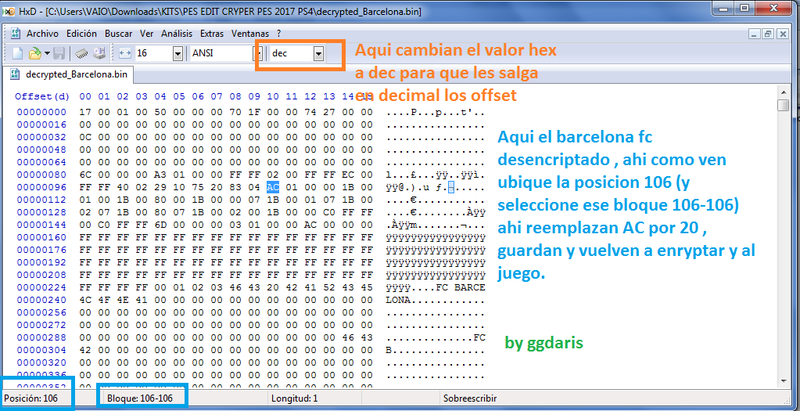 I added a few 3rd and 4th kits to licensed teams (with hex editor, changing the 106 offset value to 20) but I can't use those kits on European competitions (champions, europa league). I can only use them in domestic competitions. Does anyone know to use our 3rd and 4th kits on European competitions as well? Is there anything we can do on the bin files? Is that even possible? I am afraid there is no solution to this. A user wrote me this on the Italian thread. Sì, c'è il modo: lavorando in hex si escludono quelle previste per le coppe (esempio Barcellona, Napoli, etc) e si usa solo un tipo di maglia. Can you translate? If I understand correctly it's possible right? 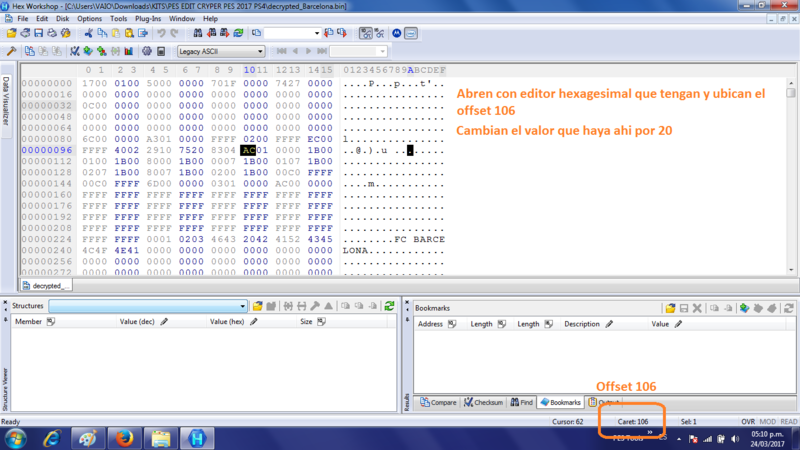 There is a way: edit the hex, excepting those default ones for the cups (i.e. Barcelona, Naples etc.) and just use only one type of kit.